Welcome to Beaverbrooks in the Trafford Centre, where our in-store TAG Heuer Ambassador and Diamond and Jewellery experts will be on hand to help you find the perfect gift or treat for yourself. Our beautiful store has a luxury Diamond Room, which allows for a personalised demonstration of some of the largest and most diverse range of diamond rings, wedding rings and jewellery in the North West. We also have a unique TAG Heuer Boutique, which showcases new lines of watches, mobile phones, sunglasses and clothing. We’re also very proud to be the only official stockist of the exclusive Gucci fashion jewellery collection, which sits inside our very own Gucci boutique with an extensive range of watches and jewellery to choose from. The Trafford Centre boasts a retail experience like no other, with 10,000 free parking spaces, inspiring architecture and a wide spectrum of well-known stores. 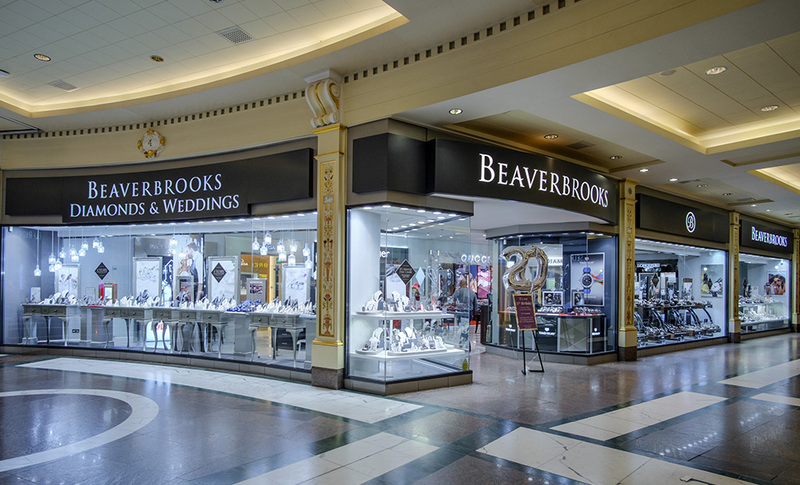 Beaverbrooks can be located nestled in the hub of the Main Dome, on the ground floor opposite Selfridges and Customer Services.